Download the brochure to view the full programme! SMi Group are proud to announce that the 5th annual Future Armoured Vehicles Central and Eastern Europe Conference will convene in Prague on 20th and 21st of May 2019. The Future Armoured Vehicles Central and Eastern Europe conference is designed to bring together military officials, international agencies and industry leading experts to discuss the vital importance of future armoured capabilities and allied interoperability. With the role of the main battle tank in decline, it is crucial that regional forces are increasingly investing in updating their legacy armoured fighting vehicles with modernised equipment as well as procuring the latest vehicles with the most up to date capabilities available on the market today. • Engage with a broad spectrum of topics, including mobility, survivability, lethality and situational awareness. Lessons learned during Exercise Saber Strike 18: how well did US Strykers operate? Rheinmetall Defence and its divisions Weapon and Munitions, Electronic Solutions and Vehicle Systems set the global standard for excellence in a wide array of disciplines. As Europe’s foremost supplier of army technology, Rheinmetall Defence is a longstanding partner to the armed forces of Germany, its NATO allies and other like-minded nations. Through rapid technological advances the proliferating threat of intelligent weapon systems is greater and deadlier than ever. For many years Rheinmetall Defence has specialized in developing and producing high performance components and innovative systems to protect people, vehicles, aircraft, ships and installations. The company has also aggressively expanded its portfolio through numerous strategic acquisitions that include Rheinmetall Waffe Munition, Rheinmetall Chempro, Rheinmetall Ballistic Protection (formerly Verseidag) and Rheinmetall Active Protection (formerly ADS). As a result, Rheinmetall Defence is able to offer its customers a unique and comprehensive array of sophisticated protection technologies and capabilities. Rheinmetall Active Protection (RAP) is a leading pioneer in the development of reliable and precise hardkill Active Protection Systems (APS). The company’s Active Defence System (ADS) belongs to a new generation of standoff APS technologies. Developed to the rigorous engineering principles of the automotive sector, ADS is one of the world’s most advanced and effective systems for protecting military vehicles from RPG and ATGM threats. This highly modular system is suitable for almost any vehicle platform and offers numerous performance advantages over launcher-style APS, including a much lower radar signature and significantly less risk of collateral damage to dismounts or civilians. In 2016 RAP partnered with Michigan-based Unified Business Technologies (UBT) to develop and qualify StrikeShield, a MAPS compliant version of ADS being offered to the U.S. Army and Marine Corps. RAP is the first company to apply safety-critical design principles to APS development to deliver predictable and safe system performance. View details CMI Defence Sponsors and Exhibitors http://www.cmigroupe.com/defense CMI Defence is the partner of land armed forces through the provision of integrated weapon systems (20-120mm) and related solutions. CMI Defence is the undisputed technological world leader in multifunctional, high-power weapon systems to be mounted on light and medium weight armored vehicles of all makes. CMI Defence’s offering is complete : it comprises the design and integration of turret-gun systems for 25 to 120 mm caliber, the development of turret-gun simulation systems (both turret-embedded and classroom), ammunition, crews and maintenance operator training, maintenance services as well as customized technical and tactical assistance. This offering is based on CMI Defence’s cutting edge expertise in software, ballistics and mechatronic engineering. CMI Defence s.a. is a subsidiary of CMI s.a., the mother company of CMI Group (Cockerill Maintenance & Ingénierie). View details General Dynamics European Land Systems (GDELS) Sponsors and Exhibitors http://www.gdls.com GDELS is the European business unit of the American Company, General Dynamics Corporation. At present, our company employs roughly 2,200 highly motivated workers with excellent qualifications in Germany, Austria, Switzerland, Spain, the Czech Republic, Romania and Denmark. Our products include heavy armoured wheeled and tracked vehicles, amphibious bridge and ferry systems, as well as repair, maintenance and servicing of military vehicles “made in Europe.” Through our partnership with our sister company General Dynamics Mission Systems, we also offer C4I components, vehicle-supported communications and information systems, as well as complete solutions in the field of digitalization of ground forces (D-LBO). • Cooperation is in our DNA: • We are a reliable business partner for more than 4,500 suppliers, • We employ 2200 people and do business in 44 countries around the globe • 44 nations – 19 NATO / EU – rely on our products and services for their safety and security Our multi-national business structure has demonstrated us that cultural diversity, the different origins, educations and expertise of our employees can create business success. In this regard we commit to a core believe: Willingness and capacity for good, professional cooperation! Political requirements such as “fostering defense cooperation” or “commonality and interoperability” between military partners can, in our view, be achieved successfully if we, as a defense company, develop consistent models for cooperation across borders with other companies - we have taken this step. ASCOD is a versatile and powerful tracked armoured land platform for current and future operation theatres, with near 1,000 vehicles deployed and current in-series production within NATO allies. Designed to include all proven technologies and best practices from previous programs; Spanish PIZARRO, Austrian ULAN or British SV, the result is a modular platform with open architecture suitable for a wide range of configurations covering all major roles of todays’ large or small tactical groups. 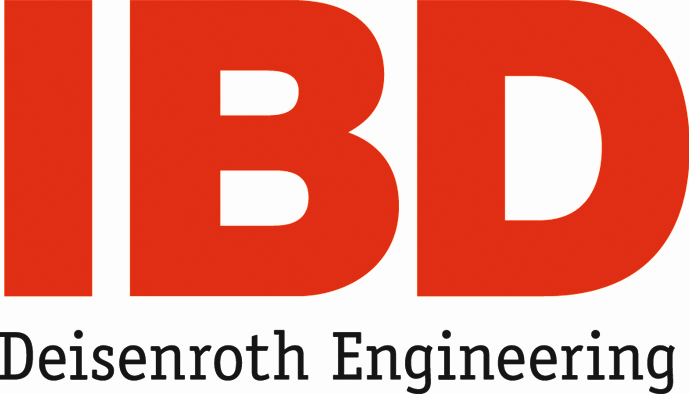 View details IBD Deisenroth Sponsors and Exhibitors http://www.ibd-deisenroth-engineering.de/ IBD Deisenroth Engineering is a leading supplier of protection systems for light to heavy platforms. With its more than 35 years of experience IBD has been involved in many large vehicle programs. As of today about 60,000 vehicles have been equipped with IBD’s protection kits. The products of the IBD PROTech Family cover all layers of the Survivability Onion. Therefore comprehensive survivability kits can be designed providing broad band protection against almost every actual and upcoming threat. Recent developments in materials and technologies allow for higher protection levels at significantly lower weight. The IBD NanoTech materials show much higher ballistic performance compared to standard materials so that weight savings up to 40 % are possible. With IBD’s concept of Integrated Protection new vehicles have been designed with significantly improved basic protection at lower vehicle weight. The IBD ESPACE Concept is a comprehensive Survivability Concept for combat platforms and has successfully been applied to MBTs and heavy IFVs. Spin-off solutions have been designed and applied to different versions of the Leopard 2 and other MBTs. View details Lockheed Martin UK Sponsors and Exhibitors http://www.lockheedmartin.co.uk Headquartered in Bethesda, Maryland, Lockheed Martin is a global security and aerospace company that employs approximately 125,000 people worldwide and is principally engaged in the research, design, development, manufacture, integration and sustainment of advanced technology systems, products and services. Lockheed Martin works with partners in more than 70 countries to deliver innovative, affordable solutions which solve both national and regional defence needs. Lockheed Martin UK - Ampthill is a leading provider of mission systems for armoured fighting vehicles and their integration onto a range of platforms. Lockheed Martin turret solutions integrate a range of lethal effects from the highly versatile and effective Case-Telescoped 40mm ‘fire-on-the-move’ cannon, to more traditional 30-40mm solutions. The company’s billion-dollar contract to deliver the turret for the British Army’s Warrior Infantry Fighting Vehicle Capability Sustainment Programme underlines how strategic investments in technology are allowing Lockheed Martin to engineer a better tomorrow. Patria is a trusted provider of defence, security and aviation life cycle support services and technology solutions. Patria’s Land business unit develops, markets and manufactures armoured wheeled vehicles and provides life cycle support for them. Key product is Patria AMV product family. Patria is the undisputed market leader in the product segment of modern armoured wheeled 8x8 vehicles with deliveries to seven different customer nations. Patria employs 2,800 professionals. Patria is owned by the State of Finland (50.1%) and Norwegian Kongsberg Defence & Aerospace AS (49.9%). View details Pearson Engineering Sponsors and Exhibitors http://www.pearson-eng.com/ Pearson Engineering Ltd is a global provider of combat engineering equipment designed to quickly and effectively optimise wheeled and tracked armoured vehicles to overcome mobility challenges. Products, provided as interchangeable front end attachments, can be attached, released and interchanged to provide Commanders with the flexibility to meet the demands of a changing battlespace. Products include counter-mine, counter-IED, obstacle reduction and assault bridge launching equipment fitted to a common interface specifically designed for the vehicle. Pearson Engineering’s range of MineWolf manned and unmanned tracked platforms provide operators with powerful mine clearance capability for large area demining and EOD tasks. View details Soucy Group Sponsors and Exhibitors http://www.soucy-group.com/industry-sectors/defense The Soucy Group, a private corporation established for 50 years with more than 1,700 employees over 13 subsidiaries located in North America and Asia, specializes in the design, development and manufacturing of Composite Rubber Tracks (CRT) and associated systems. It supplies a variety of components and parts for leading manufacturers of power sport, industrial, agricultural and defense vehicles around the world. Soucy has also developed its own manufacturing equipment and facilities to meet the specific requirements of each application – from ATVs to military vehicles up to 90,000 lbs. A world leader in Composite Rubber Track (CRT) systems and products, Soucy International Inc. with his Defense Department brings its expertise and partnership to all major manufacturers (OEMs). Soucy Track™ line of products for agricultural vehicles benefits from a global distribution network with more than 400 dealers in 30 countries and on all continents. In the industrial market, Soucy is the exclusive supplier to two of the three largest manufacturers of tracks for skid-steer loaders. This Group is also renowned as a leader in design and development of parts and accessories for power sports. • Increased durability over conventional steel tracks. • Reduced vibration (up to 70%), noise (up to 13dB), thermal signature, braking distance, vehicle weight (up to 50%) and fuel consumption (up to 30-35%). • Reduced vehicle crew fatigue. • Significant reduction in life cycle costs and virtually maintenance free. • Elimination of damage on paved surface. View details SVOS spol. s r.o. Sponsors and Exhibitors http://www.armsvos.cz/ Founded in 1992 and located in Prelouc, Czech Republic, SVOS belongs to the leading European producers of armoured cars with more than 3200 vehicles delivered worldwide. Since its establishment the company provides to its military customers various special platforms such as Kajman light scout vehicles for special operation groups, various armoured variants of Land Rover cars for all army branches, armoured Toyota Land Cruiser and other off-road vehicles or armoured cabins for world leading truck manufacturers. The military production line also includes a brand-new Perun multipurpose military vehicle already selected by the Czech Armed Forces and particularly its special operations group. The company also focuses on the production of armoured vehicles and limousines for VIP protection, armoured cross-country vehicles, cash carriers and special purpose vehicles for military and law enforcement use. A part of the portfolio is also the production of armouring and ballistic glass for building industry and others. View details Ultra Electronics Sponsors and Exhibitors http://www.ultra-electronics.com Ultra is a specialist electrical and electronics engineering company operating mainly in defence and security but also in other highly-regulated markets, focused on providing mission-specific, bespoke solutions and capability. Ultra has a strong reputation for solving challenging and complex customer problems and needs. Ultra Electronics is a Group of businesses that manages a wide range of specialist capabilities, generating highly-differentiated solutions and products in the Defence & Aerospace, Security & Cyber, Transport and Energy markets. View details Army Technology Supporters http://www.army-technology.com Army-technology.com brings you up-to-date international news and features on the defence industry, covering military projects, trends, products, services and more in the army sector. With a team of journalists around the world, army-technology.com, along with sister sites naval-technology.com and airforce-technology.com, is the only business service that focuses on the technologies required by military personnel and companies working in this important field. When you combine this with one of the most comprehensive and detailed listings of military equipment suppliers, products and services, free white paper downloads and company press releases, you see why army-technology.com is the key point of reference for the defence industry. CMI Defence is the partner of land armed forces through the provision of integrated weapon systems (20-120mm) and related solutions. CMI Defence is the undisputed technological world leader in multifunctional, high-power weapon systems to be mounted on light and medium weight armored vehicles of all makes. CMI Defence’s offering is complete : it comprises the design and integration of turret-gun systems for 25 to 120 mm caliber, the development of turret-gun simulation systems (both turret-embedded and classroom), ammunition, crews and maintenance operator training, maintenance services as well as customized technical and tactical assistance. This offering is based on CMI Defence’s cutting edge expertise in software, ballistics and mechatronic engineering. CMI Defence s.a. is a subsidiary of CMI s.a., the mother company of CMI Group (Cockerill Maintenance & Ingénierie). GDELS is the European business unit of the American Company, General Dynamics Corporation. At present, our company employs roughly 2,200 highly motivated workers with excellent qualifications in Germany, Austria, Switzerland, Spain, the Czech Republic, Romania and Denmark. Our products include heavy armoured wheeled and tracked vehicles, amphibious bridge and ferry systems, as well as repair, maintenance and servicing of military vehicles “made in Europe.” Through our partnership with our sister company General Dynamics Mission Systems, we also offer C4I components, vehicle-supported communications and information systems, as well as complete solutions in the field of digitalization of ground forces (D-LBO). • Cooperation is in our DNA: • We are a reliable business partner for more than 4,500 suppliers, • We employ 2200 people and do business in 44 countries around the globe • 44 nations – 19 NATO / EU – rely on our products and services for their safety and security Our multi-national business structure has demonstrated us that cultural diversity, the different origins, educations and expertise of our employees can create business success. In this regard we commit to a core believe: Willingness and capacity for good, professional cooperation! Political requirements such as “fostering defense cooperation” or “commonality and interoperability” between military partners can, in our view, be achieved successfully if we, as a defense company, develop consistent models for cooperation across borders with other companies - we have taken this step. ASCOD is a versatile and powerful tracked armoured land platform for current and future operation theatres, with near 1,000 vehicles deployed and current in-series production within NATO allies. Designed to include all proven technologies and best practices from previous programs; Spanish PIZARRO, Austrian ULAN or British SV, the result is a modular platform with open architecture suitable for a wide range of configurations covering all major roles of todays’ large or small tactical groups. IBD Deisenroth Engineering is a leading supplier of protection systems for light to heavy platforms. With its more than 35 years of experience IBD has been involved in many large vehicle programs. As of today about 60,000 vehicles have been equipped with IBD’s protection kits. The products of the IBD PROTech Family cover all layers of the Survivability Onion. Therefore comprehensive survivability kits can be designed providing broad band protection against almost every actual and upcoming threat. Recent developments in materials and technologies allow for higher protection levels at significantly lower weight. The IBD NanoTech materials show much higher ballistic performance compared to standard materials so that weight savings up to 40 % are possible. With IBD’s concept of Integrated Protection new vehicles have been designed with significantly improved basic protection at lower vehicle weight. The IBD ESPACE Concept is a comprehensive Survivability Concept for combat platforms and has successfully been applied to MBTs and heavy IFVs. Spin-off solutions have been designed and applied to different versions of the Leopard 2 and other MBTs. Headquartered in Bethesda, Maryland, Lockheed Martin is a global security and aerospace company that employs approximately 125,000 people worldwide and is principally engaged in the research, design, development, manufacture, integration and sustainment of advanced technology systems, products and services. Lockheed Martin works with partners in more than 70 countries to deliver innovative, affordable solutions which solve both national and regional defence needs. Lockheed Martin UK - Ampthill is a leading provider of mission systems for armoured fighting vehicles and their integration onto a range of platforms. Lockheed Martin turret solutions integrate a range of lethal effects from the highly versatile and effective Case-Telescoped 40mm ‘fire-on-the-move’ cannon, to more traditional 30-40mm solutions. The company’s billion-dollar contract to deliver the turret for the British Army’s Warrior Infantry Fighting Vehicle Capability Sustainment Programme underlines how strategic investments in technology are allowing Lockheed Martin to engineer a better tomorrow. Pearson Engineering Ltd is a global provider of combat engineering equipment designed to quickly and effectively optimise wheeled and tracked armoured vehicles to overcome mobility challenges. Products, provided as interchangeable front end attachments, can be attached, released and interchanged to provide Commanders with the flexibility to meet the demands of a changing battlespace. Products include counter-mine, counter-IED, obstacle reduction and assault bridge launching equipment fitted to a common interface specifically designed for the vehicle. Pearson Engineering’s range of MineWolf manned and unmanned tracked platforms provide operators with powerful mine clearance capability for large area demining and EOD tasks. The Soucy Group, a private corporation established for 50 years with more than 1,700 employees over 13 subsidiaries located in North America and Asia, specializes in the design, development and manufacturing of Composite Rubber Tracks (CRT) and associated systems. It supplies a variety of components and parts for leading manufacturers of power sport, industrial, agricultural and defense vehicles around the world. Soucy has also developed its own manufacturing equipment and facilities to meet the specific requirements of each application – from ATVs to military vehicles up to 90,000 lbs. Founded in 1992 and located in Prelouc, Czech Republic, SVOS belongs to the leading European producers of armoured cars with more than 3200 vehicles delivered worldwide. Since its establishment the company provides to its military customers various special platforms such as Kajman light scout vehicles for special operation groups, various armoured variants of Land Rover cars for all army branches, armoured Toyota Land Cruiser and other off-road vehicles or armoured cabins for world leading truck manufacturers. The military production line also includes a brand-new Perun multipurpose military vehicle already selected by the Czech Armed Forces and particularly its special operations group. The company also focuses on the production of armoured vehicles and limousines for VIP protection, armoured cross-country vehicles, cash carriers and special purpose vehicles for military and law enforcement use. A part of the portfolio is also the production of armouring and ballistic glass for building industry and others. Ultra is a specialist electrical and electronics engineering company operating mainly in defence and security but also in other highly-regulated markets, focused on providing mission-specific, bespoke solutions and capability. Ultra has a strong reputation for solving challenging and complex customer problems and needs. Ultra Electronics is a Group of businesses that manages a wide range of specialist capabilities, generating highly-differentiated solutions and products in the Defence & Aerospace, Security & Cyber, Transport and Energy markets.